Whilst on holiday, accommodation is the main cost. This is even more so for prime destinations such as those on the Côte d’Azur. But if you have a limited budget for your holidays in Port Grimaud, you need not worry because there are some handy tips you can make use of in order to enjoy a wonderful holiday at a great price. Provence is very popular, mainly for its year round sunshine, its quality of life, but mostly due to its beautiful landscape consisting of sea and mountains. In the very heart of Var, Port Grimaud enjoys an enviable position, between the Maures Massif and the scintillating Mediterranean sea. 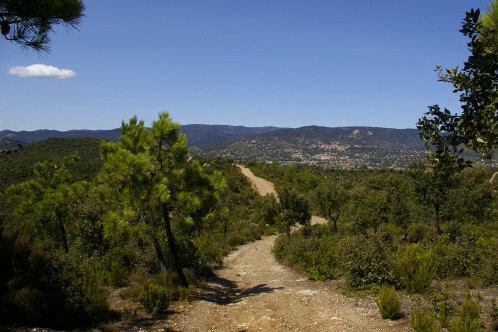 You could go mountain biking or hiking in the trails within the Maures Massif. The Var hiking week takes place From 24 September to 2 October 2016 for example. Various circuits will be advertised so that hikers at any level can discover the scenery of our magnificent region. Holidays are made for relaxing, aren’t they ? So, what better way to do this than to kick back on the beaches of our coastline ? Throughout the year, our village’s Tourism Office is honored to offer various free entertainment and cultural activities which are accessible to everyone. 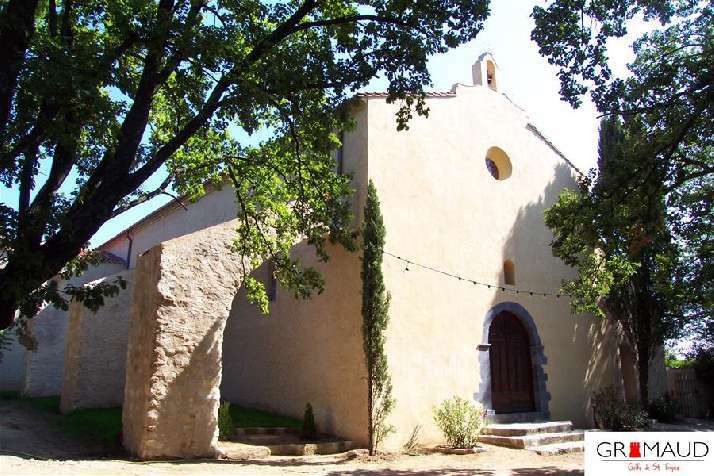 Every month, the community arranges free and guided visits to the Saint-Roch mill and the Saint-Roche chapel, as well as to the Notre Dame de la Queste chapel. To obtain the schedule of these visits, visit Grimaud’s Tourism Office website http://www.grimaud-provence.com/ or consult our blog where we publish the monthly program (and often even the weekly one) for the entertainment that is organized in Grimaud. Here is an example of the weekly program from 5 September 2016 to September 11 2016. 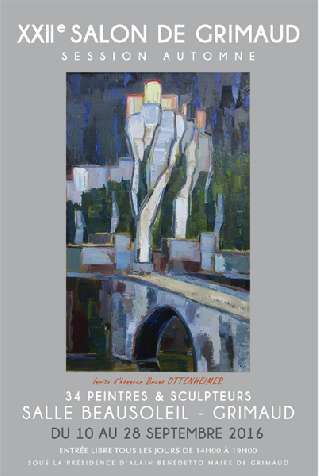 Provence has fascinated artists and, more specifically, painters for several centuries. To continue in this tradition, the village highlights their efforts throughout the year. You are invited to stroll through the village’s many art galleries. Every Thursday from July to mid-September, art galleries are open until late in the evenings so that you can enjoy their art works with a drink in your hand. In addition to this, an art exhibition is held in Grimaud twice a year (Spring session in April and autumn session in September). Here again, access is free for everyone where you can discover the region’s artists. 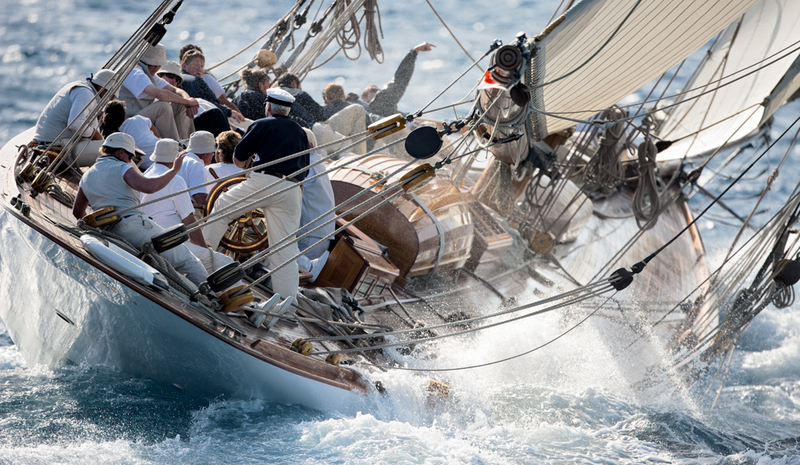 The Gulf of Saint-Tropez has not lost its charisma and each year hosts several exceptional sporting events and rallies. The most iconic of all of these is certainly the Voiles de Saint-Tropez, a regatta bringing together traditional, centennial and cutting-edge modern yachts during September. Here, you are simply one of thousands each year admiring their fascinating ballet from the port of Saint-Tropez. However, the Gulf of Saint-Tropez also welcomes Harley Davidson, Vespa and Porsche lovers during festive weekends. Large parades are organized in Grimaud and Saint-Tropez for everyone to admire. As you can see, nature, sport and culture are honored in our village and the several exhibitions offered are completely free of charge. Take advantage of them! Cette entrée a été publiée dans Discover Provence, English le 8 septembre 2016 par Boutemyblog.